The most complicated question every entrepreneur who is going to start an eCommerce website is which eCommerce program and where to find hosting that is suitable. MagePlus is a hosted eCommerce solution. That means you will get both hosting and Magento based store with MagePlus. Therefore you don’t need pay for any external hosting. MagePlus hosting is the best and thanks to our Aspiration CDN, is fast for all customers regardless of any country. 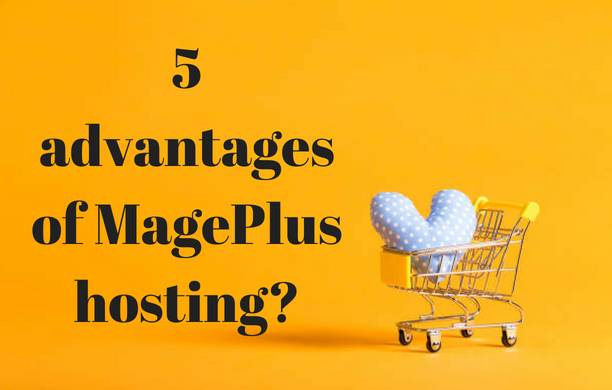 Let’s see some of the advantages of MagePlus hosting. Web hosting is very risky especially if you are not taking regular backups of your website. Natural disasters, security risks, or total hardware failure can wipe out your important data from the servers. But if your hosting is from reliable web hosting companies like Aspiration Hosting, your data is always protected. Backups and redundant servers allow you to host your website with confidence. We have included secure hosting with every Mage Plus plan. We work hard around the clock to make sure your website is always online. Bandwidth is used when people come and go from your store. While others put a number on the bandwidth, Aspiration Hosting’s MagePlus gives you unlimited bandwidth so you have no worries about increasing traffic. When you sign up, we show you exactly how to set up an online store. We will create and configure your store in just one day. Therefore, you can start selling soon. We offer your customers quick, worldwide access to your Mage Plus store through Aspiration Hosting’s global servers. Aspiration Hosting has cloud hosting in California – USA, London – UK, Singapore, and also Sydney – Australia. Hence, choosing a server close to the customer will ensure better site speed for them. MagePlus makes it easy to create and register a domain name for your new website. You can buy a new domain through Aspiration Hosting, or use an existing domain. MagePlus offers better performance as we use SSD cloud servers that deliver great speed. And, we can guarantee a 99% uptime. We also back up it with a Service Level Agreement.